Braselton, Ga. (23 October 2018) – The 2018 IMSA Continental Tire SportsCar Challenge Championship season had 773 laps, and TeamTGM completed every single one of them in the No. 46 JKTG Foundation / Camp Boggy Creek Mercedes-AMG GT4. 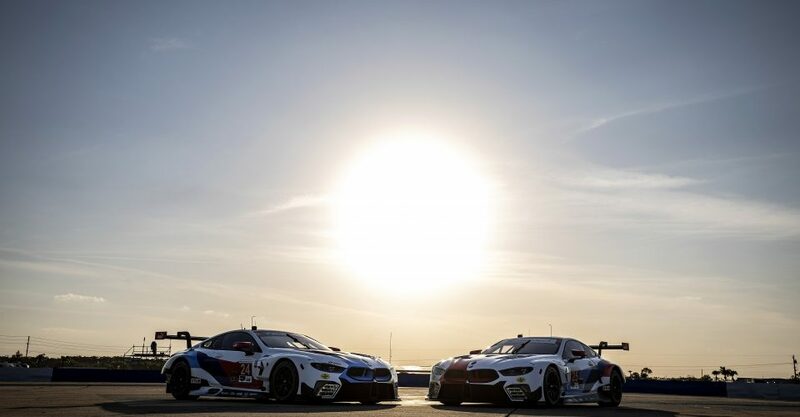 Along the way, the team claimed its first ever IMSA victory and closed out the year with a pair of championship titles, earning both Team and Driver Championships. 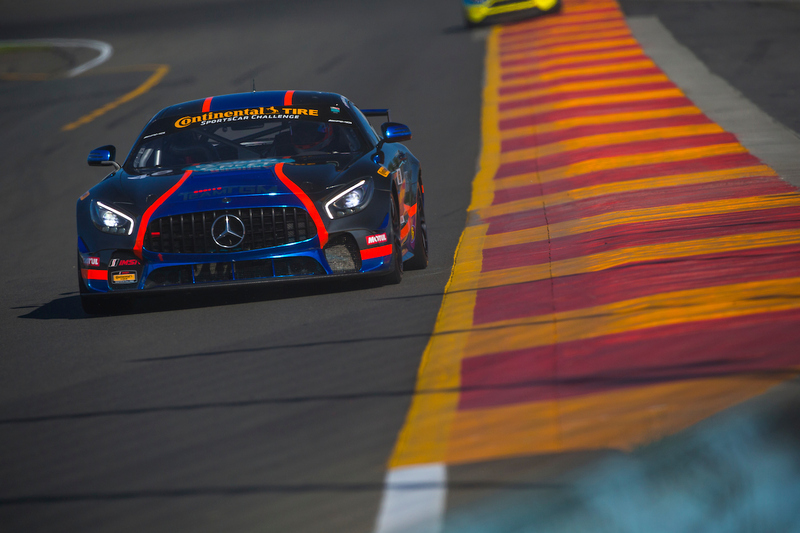 Kicking off the 2018 season with the North American debut of the Mercedes-AMG GT4, TeamTGM was not only tasked with the typical pre-season challenges, but it also was familiarizing itself with a completely new platform. 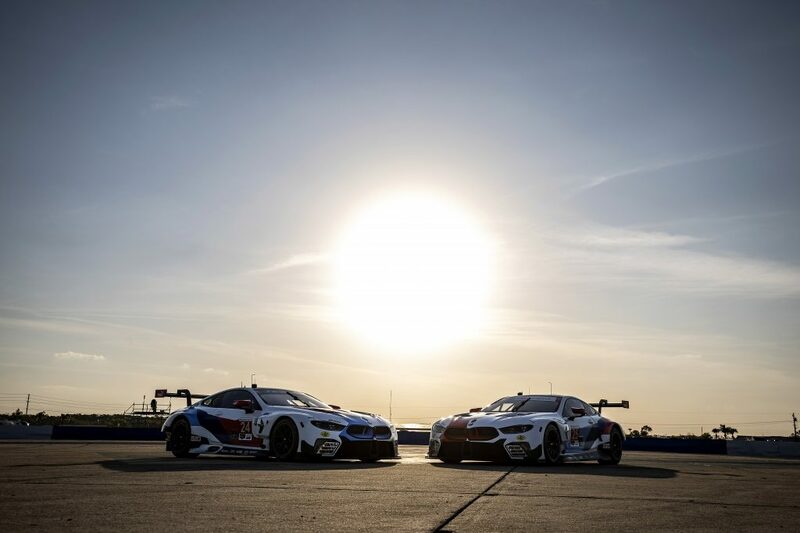 Starting off the year at the annual Rolex 24 At Daytona event weekend, TeamTGM returned to the GS field with its two car line up of the No. 46 and No. 4 JKTG Foundation / Camp Boggy Creek Mercedes-AMG GT4 machines. With Hugh Plumb and Owen Trinkler in the No. 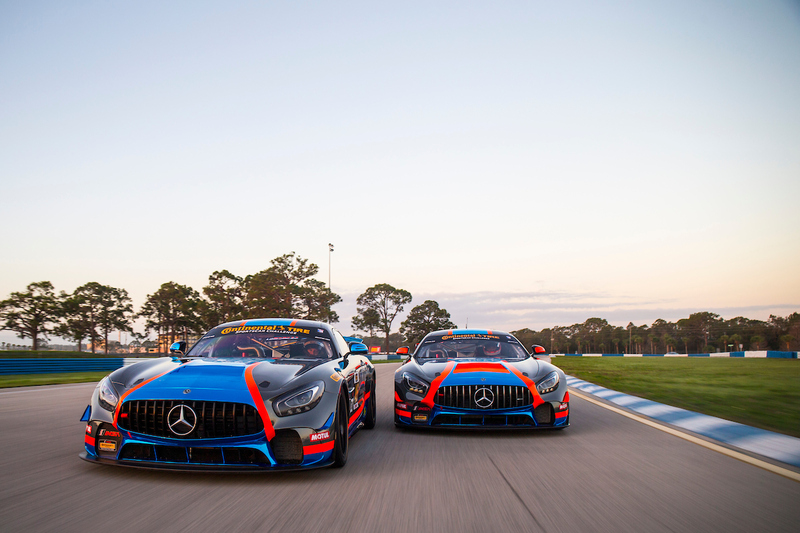 46 Mercedes, the duo made an impressive drive from 16th to sixth while also leading the first official laps for the Mercedes-AMG GT4 in North American competition. The sister No. 4 car of Guy Cosmo and Ted Giovanis also led the field for an impressive eight laps during the four hour event. 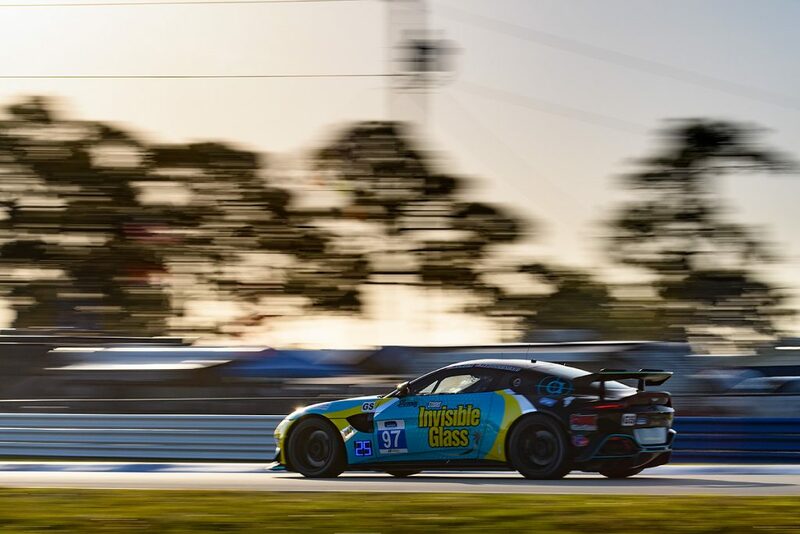 With the first endurance event ticked off the calendar, Sebring was up next with the two hour Alan Jay Automotive Network 120. The event once again saw the No. 46 lead laps on the way to an eighth place finish, while the team’s sister car followed suit finishing ninth in the order. The double top ten was early progress for TeamTGM and was a meaningful result after the team had suffered a loss to start the event. Early in the weekend the team got news of the passing of longtime team member, Ron Rigdon’s wife, Debbie Rigdon. Racing with heavy hearts, the weekend’s efforts were driven by the momentous loss for the team. 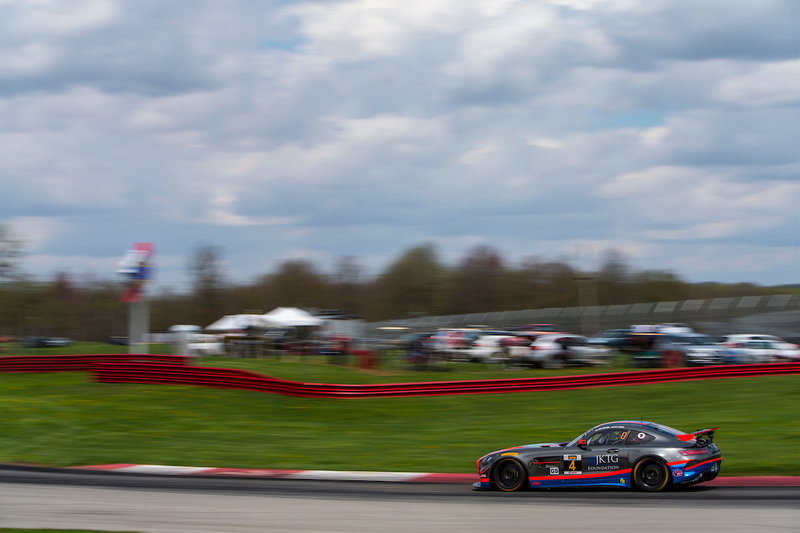 Mid-Ohio was a new learning curve for TeamTGM as the series made its return to the midwestern circuit. A fourth place finish for the No. 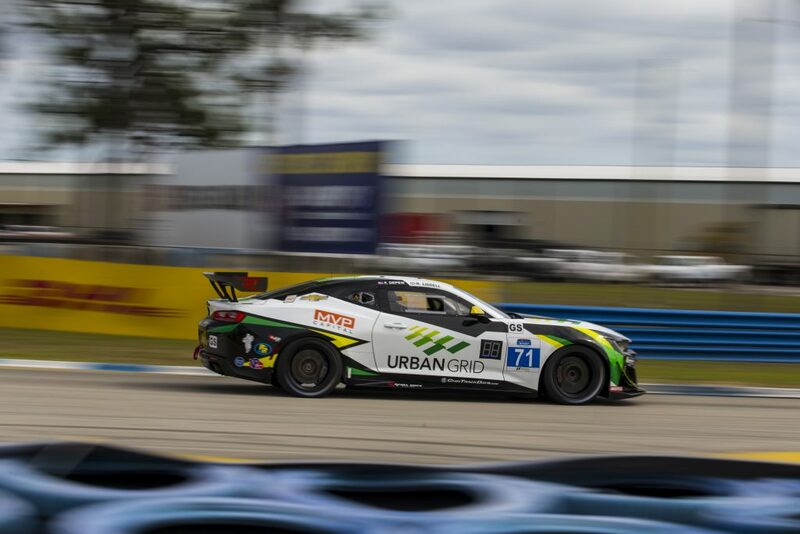 46 of Plumb and Trinkler not only was the best finish for the team of the season thus far, but the pair also were the highest finishing Mercedes-AMG GT4 which moved the duo into fifth in the championship standings. Unfortunately for Cosmo and Giovanis, a flat tire in qualifying left the co-drivers unable to post a fast time, which resulted in a 23rd place race finish. 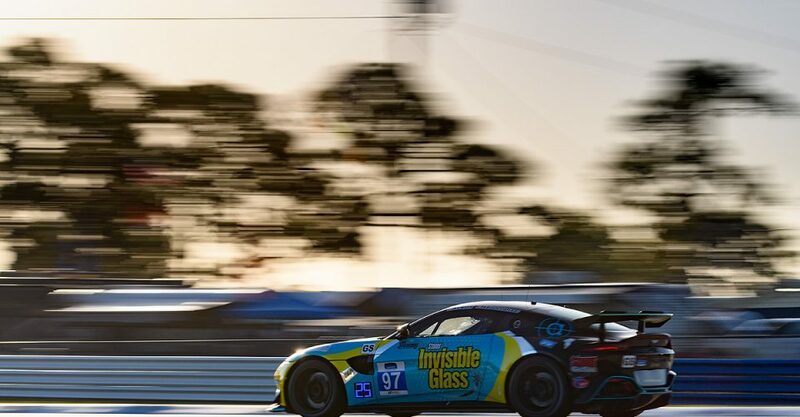 Watkins Glen is a fan and driver favorite as TeamTGM returned for the second four hour race of the season. The team got off to a rough start as it was forced to retire the No. 4 car after an incident in qualifying, leaving the No. 46 of Plumb and Trinkler for race duties. It was a fight to the finish as Trinkler closed the race in contention for the win, but had to hold on for a fifth place result. Despite being so close to a victory, the result moved Plumb and Trinkler one step up in the championship standings, now sitting fourth. 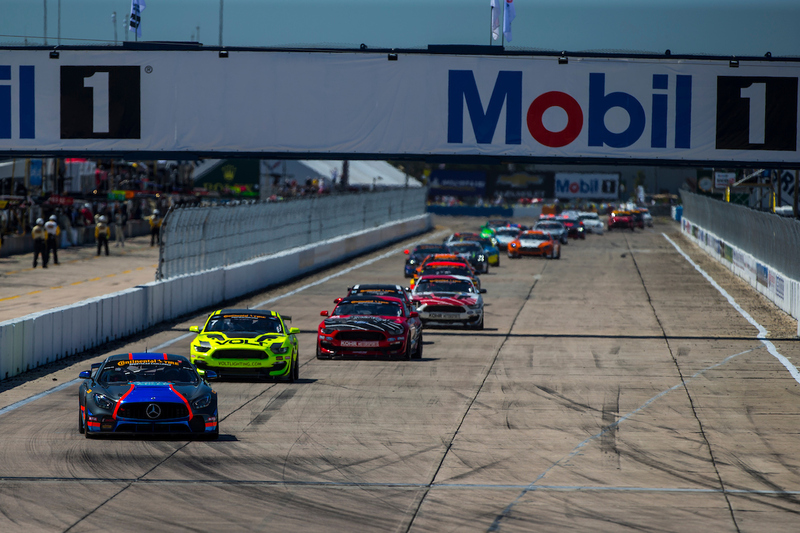 The Canadian Tire Motorsport Park weekend was an interesting one as TeamTGM as well as several other teams fought with fuel management during the closing laps of the two hour event. The No. 46 of Plumb and Trinkler were on the move late in the race and a second stop for fuel cost the entry two spots. The entry finished seventh on a two stop strategy while the podium finishing competitors managed to pull off a single stop fuel strategy. The hard-fought result was a tough one to swallow, but the duo maintained fourth in the championship standings. Cosmo and Giovanis pushed hard for a 19th place result which was the first event in over a year after Giovanis suffered an Achilles injury at the track last season. 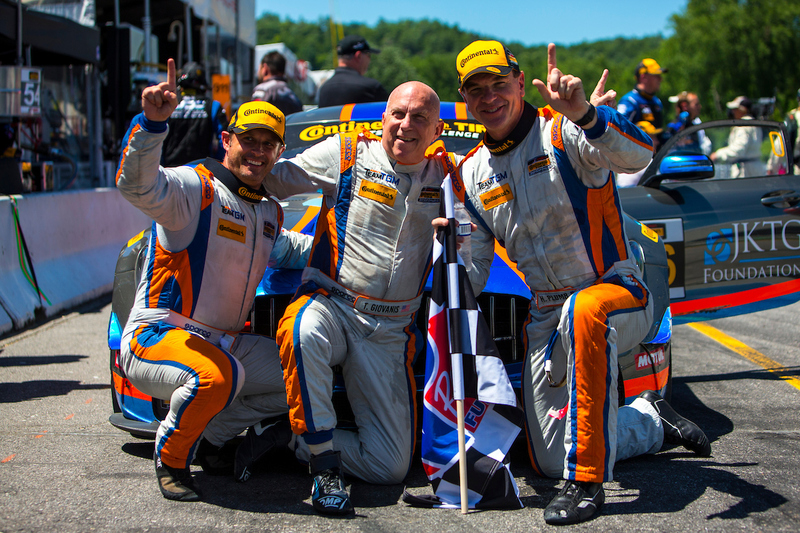 The fifth race of the season at Lime Rock Park marked the turning point for TeamTGM in its hunt for the championship. Perfect pit stops, perfect strategy and a lot of hard work brought home the team’s first ever win after Plumb and Trinkler started on the front row to bring home the team’s first ever IMSA win. The victory was extra special as it also marked the first win for the Mercedes-AMG GT4 in North American competition. That victory was a major stepping stone in the championship as Plumb and Trinkler now moved to second in the standings, only trailing the leaders by four points. Cosmo and Giovanis continued to make progress as they gained eight positions to finish just outside of the top ten in 11th. Road America is a tough track in so many ways. The length itself, at 4.0-miles, requires precision at every corner. Quick thinking and unique strategy calls by Joe Varde bought the No. 46 in to the pits, three times in four laps, but it bode well for the team as it earned a third place result. That podium result saw the pair take the championship lead while Cosmo and Giovanis held onto the No. 4 after a late race issue saw it lose track position to take home 15th. 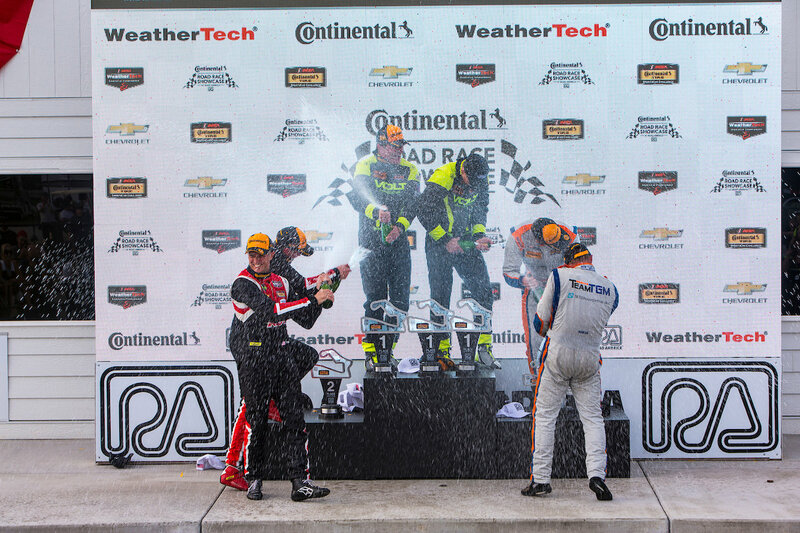 VIR: The Feeling of Victory….Again! 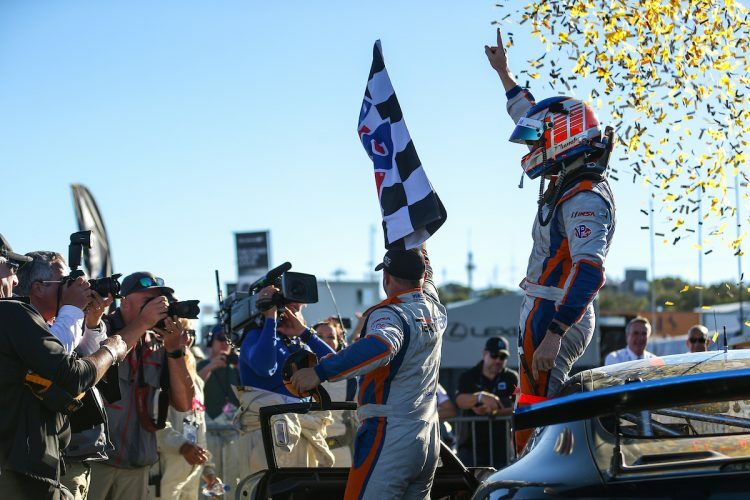 Virginia International Raceway was another turning point for TeamTGM as its championship lead widened with another victory by Plumb and Trinkler. A race which saw torrential rains separate the field early on played right into the hands of the now championship-leading No. 46 as Trinkler utilized his years of experience to master the slippery track on slicks. After that, it was a focus on bringing it home for Plumb, who crossed the line first to bring home the second victory for the team and for the Mercedes-AMG GT4 platform in North America. Cosmo and Giovanis also experienced the varying elements to move up the order to fifteenth. If there’s one thing to be learned in Motorsports it’s to never give up because anything can happen; and what happened at Laguna Seca was a perfect example of that. It was the last lap battle that saw traffic, fuel strategy and blocking all come to a head. From Turn 8 to Turn 10, fans saw all of those obstacles collide and it was Plumb who had a front row seat to it all. Mindfully stalking his prey, Plumb went from third to first in a single corner melee which saw lapped traffic, a fuel strategy gone wrong, all combine for a perfect pass for Plumb to bring home an epic third win of the 2018 season. That victory gave the No. 46 a 31-point advantage in the championship standings heading into the season finale. The sister No. 4 saw Giovanis make incredible progress once again as he and his co-driver, Cosmo, moved up four positions throughout the event to come home 19th. 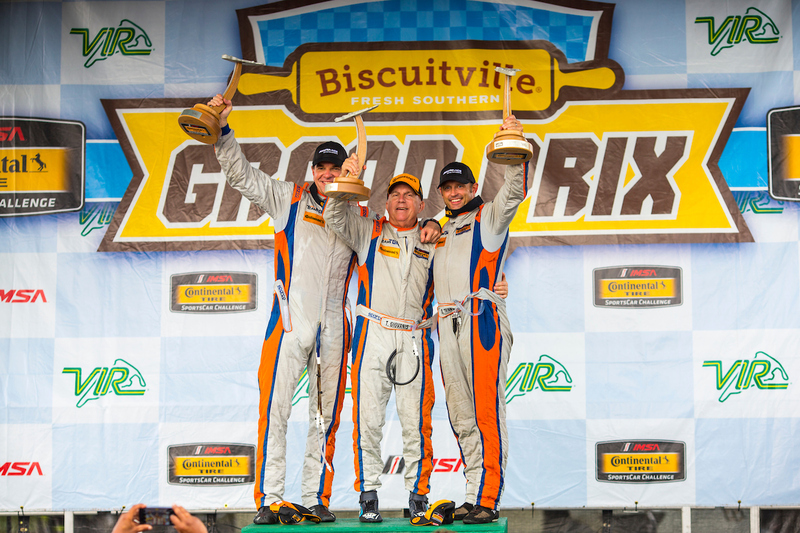 The season finale at Road Atlanta was both stressful and confidence-inspiring all at the same time. A 31-point advantage gave the team a comfortable buffer in the championship, but the Atlanta-based team made sure to carry on as usual. Tasked with simply starting the race to confirm the title, the No. 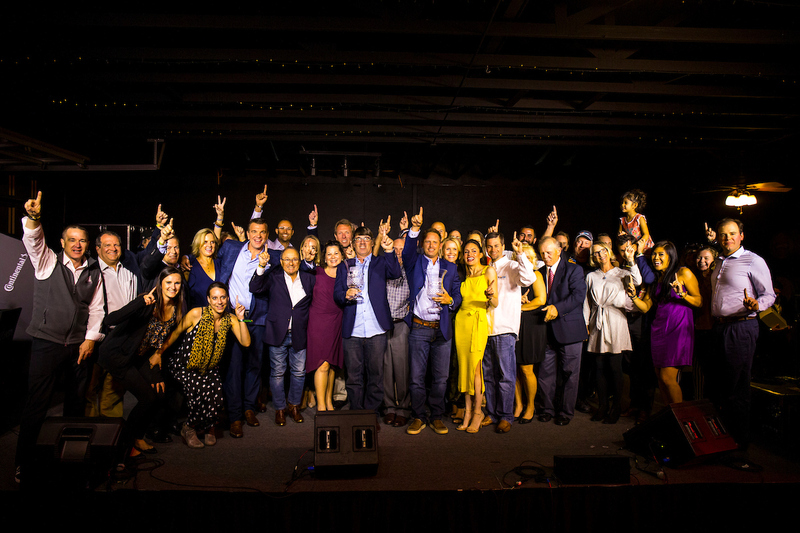 46 was crowned champions at 1:15pm on Friday October 12th. Wanting to close out the season strong, Plumb and Trinkler drove a smart race to finish 11th while Cosmo and Giovanis took home 18th. At the end of the 10 race season, the No. 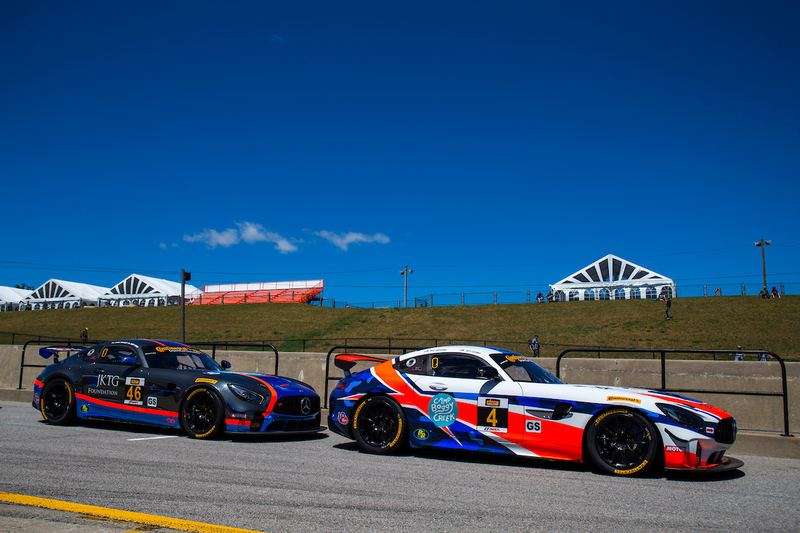 46 of Plumb and Trinkler earned a 25-point advantage to be crowned 2018 IMSA Continental Tire SportsCar Challenge GS Champions. An old racing adage holds that to finish first, first you must finish. The team took that to heart, as the No. 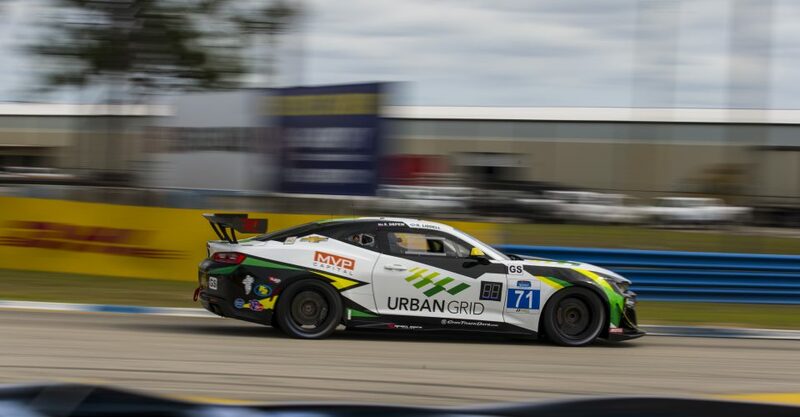 46 JKTG Foundation / Camp Boggy Creek Mercedes-AMG GT4 finished every lap of every race of the 2018 season, totaling 773 total laps. Overcoming several obstacles since January, TeamTGM has worked from the ground up to take the championship crown. It was nothing but hard work and dedication that brought triumph to the team, and now the only thing to look forward to is to go out and get more.